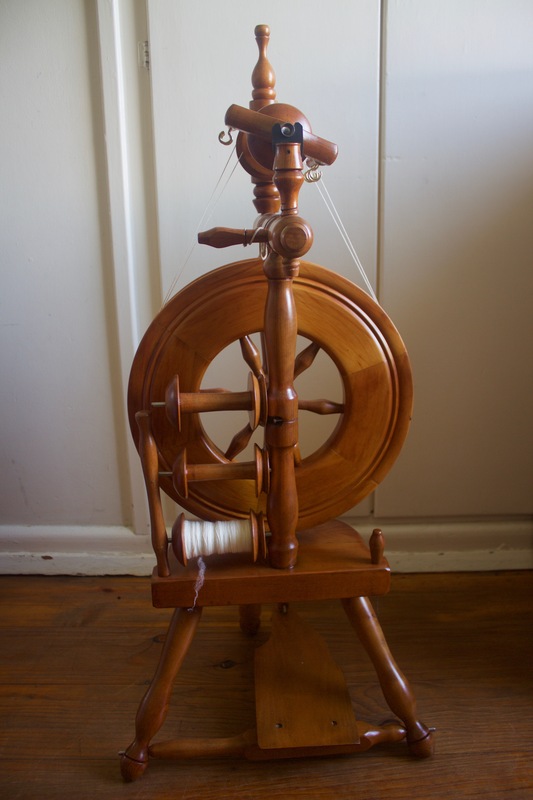 Traditional – My first wheel and still probably my favourite to spin on. I am able to get a fairly consistent, fine spin from this wheel. Unknown manufacturer as there is no maker’s mark but I think it’s likely an Ashford as my separately purchased Ashford flyers fit perfectly. 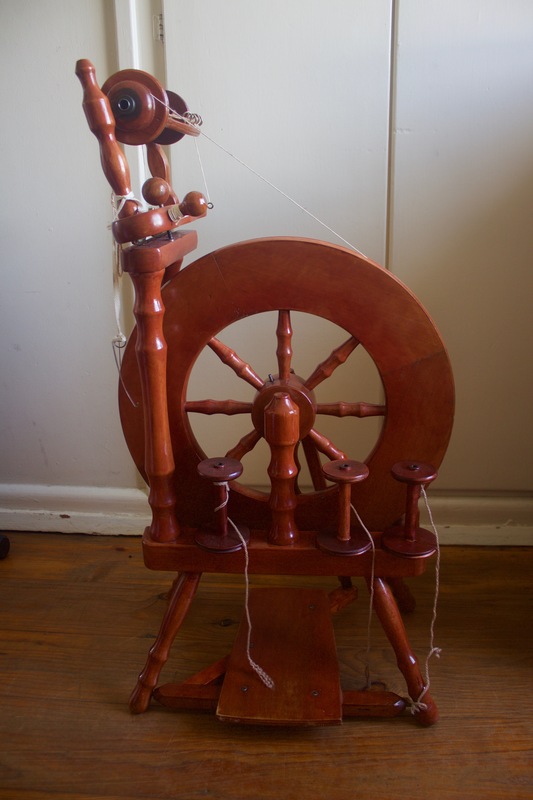 Rappard Wee Peggy – My second wheel and first vintage wheel. This one was made in 1984. It was in fairly poor condition when I purchased it via Gumtree. I let my dad have it the day after I got it and he returned it completely refurbished and it is now a beautiful piece. 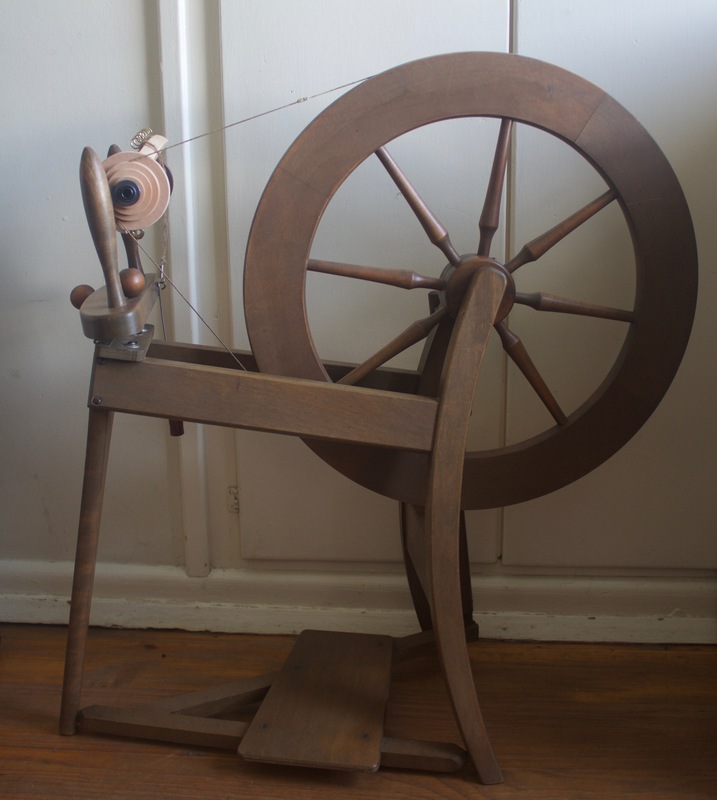 Pipy Wendy – My third wheel acquisition and also a vintage wheel. I found this on Gumtree also. This wheel was made in 1972 by Philip Poore. 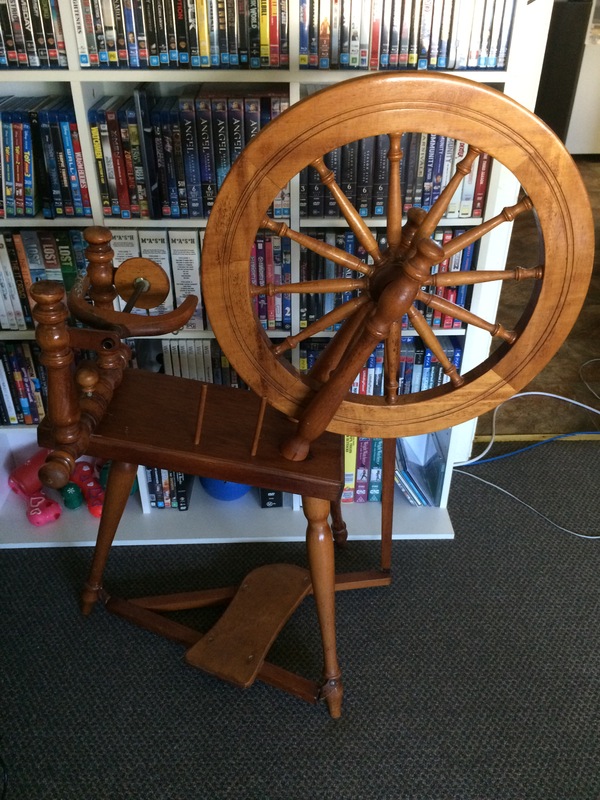 This wheel has also been refurbished by my dad. He also made me three new bobbins as the wheel only came with one. 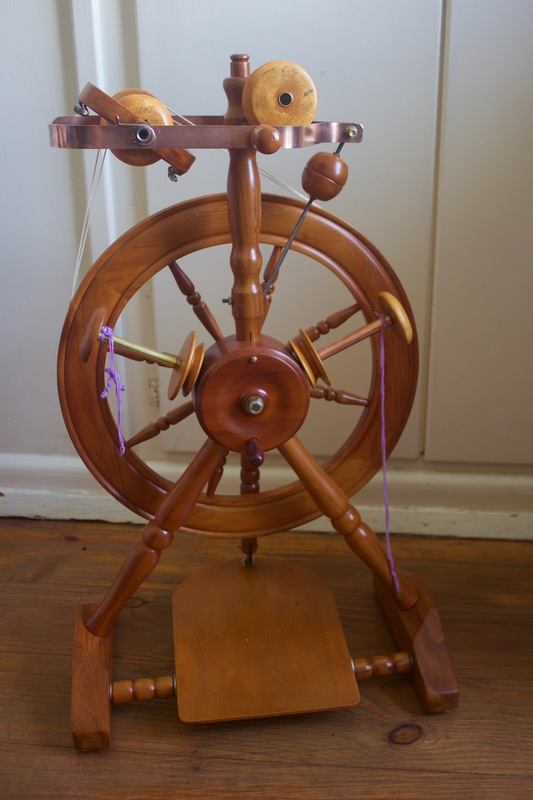 Ashford Traveller – This wheel appears to also be a vintage model but the almost identical wheel can still be purchased readily via Ashford. This wheel was a bit clunky when I received it via an eBay auction, however it’s my second most used wheel now after a bolt tightening and some oil. Sleeping Beauty Double Drive – I don’t know a lot about this wheel at this time. I know it’s a Sleeping Beauty but there is not any markings on the wheel to give an age or maker. I am awaiting the original books and bobbins from it’s former owner. I’m unable to use the wheel at this time but fingers crossed I will get the extras soon.